Once a year or so, my mom hosts a dinner for her book club. Last year, it was at Halloween and I made these super delicious glass shard cupcakes. They were a hit! I knew I had to make something again this year. I decided on pocket pies. I made two kinds: pumpkin and apple. 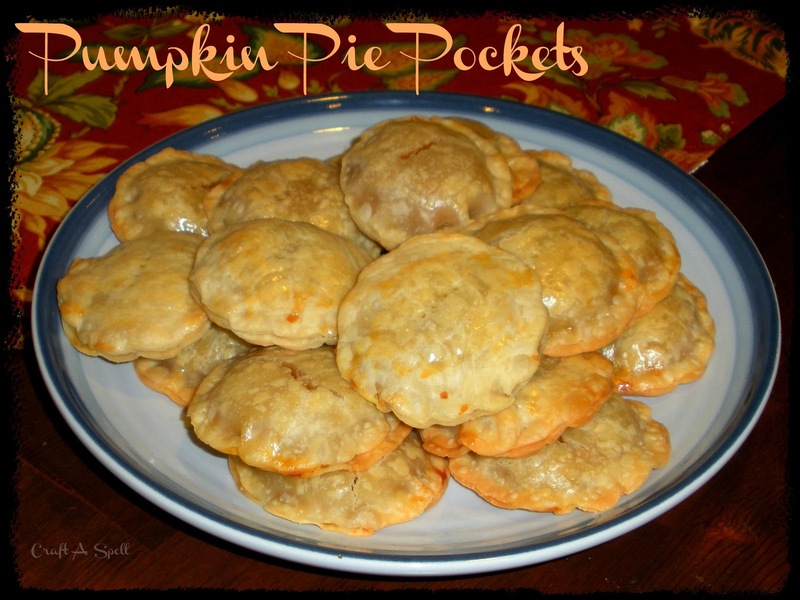 For this post, I'll be sharing my recipe for pumpkin pie pockets. Here is the apple recipe. Please note, no kitties actually helped in the making of these pie pockets. Prepare the can of Libby's pumpkin pie filling per can directions and bake at 350 degrees F in an 8x8 pan (sprayed with cooking spray) until set (about 30-40 minutes). Roll out the (room temp) pie crust to be thinner than usual. Cut into rounds/rectangles/squares/whatever shape you want. Place about 1 tablespoon of the pumpkin mixture in the center. Place a second crust cut out over the top and pinch the edges together. Brush with an egg wash. Poke top with a fork to let the steam escape. Bake at 350 degrees F on a parchment lined pan for 15-20 minutes. Remove from oven and if you want, sprinkle with cinnamon sugar (I forgot to do this). Very easy! Best served immediately with a nice squirt of whipped cream on top. Note: These are best fresh. For leftovers, I enjoyed them after popping them into the oven again for a few minutes. If I made them again, I would also choose a bigger cookie cutter so I could put more filling in them. Oh yummy, this would be great for a holiday party. I love pumpkin recipes, stop by my blog and check out some of the pumpkin-y things I have been whipping up.